From Goodreads: To find the truth, you've got to be willing to hear it. 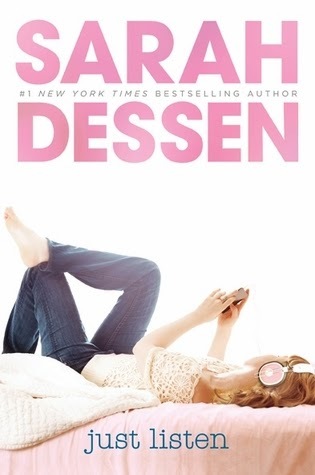 How on earth have I managed to this far without reading a Sarah Dessen book? Yes I have no idea either! Because this was absolutely amazing – I loved everything about it. There is so much going on in this story. What happened to Annabel and how she is dealing (or not dealing) with that. Her home life and her sister’s anorexia. Having to deal with no longer having friends at school. It was really engaging – finding out what had happened to Annabel to get her to this point in her life and then as the story progresses seeing her sister fight her illness and Annabel face her demons. I also adored the relationship between Annabel and Owen – it is so good. I just loved it. Every romance should be like this! On the back of this I bought every Sarah Dessen book I could get my hands on and have already read Lock and Key and Along for the Ride – both of which I really enjoyed. I'm looking forward to reading all her others. I'm so glad you loved this!! I'm a massive Sarah dessen fangirl :) I recommend The Truth About Forever yet? That's my favourite. Sophie - not yet but I'm looking forward to it. I've read Along for the ride & lock and key and loved them too!